Tule Publishing Group, LLC, 9781945879586, 254pp. Beautiful, spirited heiress McKenna Frasier-daughter to one of the Butte Copper Kings--vowed eternal love to Sinclair Douglas before she left for college and an introduction to society. 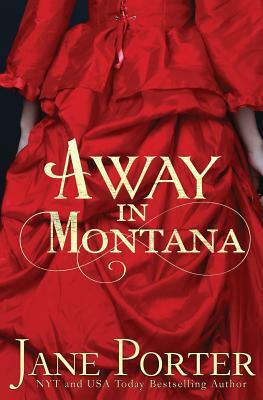 Four years in New York and travel abroad have opened her eyes, making her realize she wanted more than marriage and a simple Montana life. But when McKenna commits an unforgivable transgression and destroys her reputation, her dreams are shattered and she is forced to return to Montana disgraced, disowned and unmarriageable. Sinclair Douglas left Butte to escape the Frasier power and Frasier name, but suddenly all anyone talks about in Marietta is scandalous McKenna Douglas, Paradise Valley's new teacher. Sin doesn't want to know about McKenna anymore. He doesn't want to have to help her, and he sure as hell doesn't want to love her. But McKenna has lived so long in his heart that it's her home-even if she doesn't deserve to be there. But if there is one man who knows how to rebuild a life when all dreams have been smashed, it's fierce, uncompromising Sinclair Douglas. Can Sinclair and McKenna heal enough to find their own Christmas miracle, and one more chance at love?